Explore Scripture in short but powerful volumes that focus on biblical spirituality─how we live in an awareness of God’s saving presence in our lives. Three brief but powerful Bible passages related to a theme. Commentary and questions to guide personal and/or group reflection. A suggested way to pray with each passage. Ideas for how to live faithfully in response to the God revealed in Scripture. Make growth in Christ a continuing priority. Easy to understand writing style puts reliable teaching at your fingertips. Whether purchasing a single volume or multiple volumes, our pricing is reasonable. Each volume includes three short chapters or sessions. Use at your own pace, individually or in groups. Simple action steps will allow God’s Word to keep acting within you. 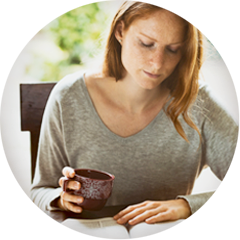 Experience a variety of inviting prayer styles with each chapter. Reflect using questions that help connect to everyday living.